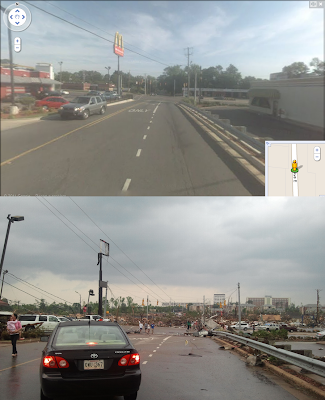 Incredible before and after pictures from Tuscaloosa after a massive tornado nearly a mile wide devastated the college town. As of now, there are 15 confirmed fatalities and search and rescue is going on all over the city as of 10:30 pm. There are more than 100 injuries. The University of Alabama will be closed on Thursday. Emergency # to find out about your student is 205-348-1001.